Ocean First Institute is a Colorado-based nonprofit dedicated to ocean conservation through research and education. Our goal is ocean conservation through research and education. We educate and empower future generations to preserve our ocean and become future leaders in conservation. We do this by connecting youth with the wonders of the ocean and the importance of hands-on conservation through programming that highlights scientific exploration. Our in-person and virtual education programs have already inspired over 110,000 students across the world to take action within their local communities while our field-based research expeditions have exposed students to the rigors of the scientific process and how it contributes to the real-world value of conservation. dedicated to creating a path of hope and change to improve the health of our ocean. Mikki is passionate about sharing her love of the ocean. Mikki is one of the top shark experts in the world. Her work focuses on the sensory biology and ecological physiology of sharks, skates and rays. Mikki is a tireless advocate for sharks and shark habitat. She seeks to highlight their global population decline and to frame new directions for their conservation. Mikki speaks, teaches and conducts research around the world including in South America, Africa, Asia and Australia. Her outreach efforts have been covered by the BBC, National Geographic, Discovery Channel's Shark Week, and CBC National Radio Canada. 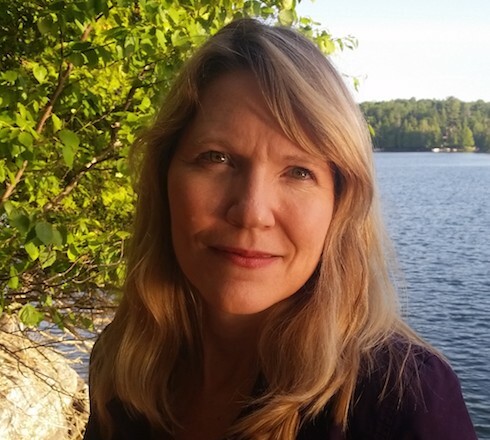 Mikki strives to bridge the gap between research and public engagement. She believes that when people are aware, they care and when they care, they act. Her current position as Executive Director of Ocean First Institute allows her to promote research, conservation, and sustainability. The Institute also supports expeditions and a variety of education initiatives that reach students of all ages. Mikki holds a Ph.D. in Integrative Biology from Florida Atlantic University and is the author of numerous scientific publications. Having spent most of her life near the coast, Lauren has always had a love for the marine environment. She believes in supporting our communities and using outreach as an important tool in achieving our conservation goals. Lauren's passion for community outreach and marine conservation led her to earn a bachelor's in biology from Trinity University and a master's in conservation biology from the University of Central Florida. Her experience within the marine conservation field has included working with the communication team at NOAA's Office of National Marine Sanctuaries, studying horseshoe crab behavior, monitoring sea turtle nests, and assisting in marine wildlife rehabilitation. Now as a resident of Colorado, Lauren is excited to continue protecting the ocean by promoting greater awareness of marine conservation issues and empowering others to become better stewards of the marine world. Born and raised in Boulder, Colorado, Klara's love for the outdoors has always been present. After earning her B.A. from the University of Colorado, Klara continued to pursue what were initially hobbies and turned them into lifelong passions. From swimming along side humpback whales beneath the surface to learning about species adaptation at fifteen thousand feet, filmmaking and natural sciences have taken Klara around the world. Working for Ocean First Institute gives her that opportunity and serves as a gateway to capture a story. Through extraordinary imagery, and enthralling stories of life both above and below the sea, Klara's creations serve as program supplement to inspire new depths. She believes in Ocean First Institute and the team's ability to embrace passion and facilitate respect for the underwater world. Cathy's love of the water began on the shores of Lake Erie, where as a kid she would pretend to not hear her parents calling her out of the water when it was time to go home. When she was older, she visited her grandparents in south Florida - which is when her curiosity of all things marine really took off. She earned her Bachelor's degree in Biology at Bowling Green State University. It was the only university in the state of Ohio with a marine lab! Cathy moved to Florida, just a few blocks from the clear, calm waters of the Atlantic Ocean. She attended Florida Atlantic University for her Master's degree, studying phenotypic plasticity of fiddler crabs. The invertebrates are her favorite, so dynamic and diverse, they're incredible! She became scuba certified and very quickly learned that diving at night was the best time to observe invertebrates as many are nocturnal, coming out of hiding when the sun goes down. There is nothing more amazing than seeing a gnarled fist by day unfurl into a giant, brightly colored basket star; its delicate branching arms gently reaching out to capture food. While her love of the ocean continues to grow, she is very enthusiastic in sharing what she knows and helping others discover the wonders of the sea. Growing up in New Mexico, Rachel was very landlocked; however, summers spent on Catalina Island learning to SCUBA dive inspired her love of the marine environment. She earned a bachelor’s in biology from the University of California San Diego and a master’s in marine biology from the College of Charleston. Her experience is varied, from mist-netting and nest searching in the Peruvian rainforests, raising endangered falcons in West Texas, working on cichlid behavior in Costa Rica to working for Operation Wallacea during many summers in Honduras, Mexico and Indonesia conducting field surveys, lionfish research and helping run field sites. Rachel believes that the combination of education and research is very important in attaining conservation goals and that Ocean First exemplifies this. As a new Colorado resident, she is excited to become involved within the biology and conservation community. Born in Jackson Hole, Wyoming, Graham moved to California as a child and quickly developed an insatiable love for the water. After 18 years on the ocean, Graham moved to Boulder to attend the University of Colorado. He is a CU alumnus from the Leeds School of Business, an accomplished aquanaut, and underwater photographer with hundreds of logged dives around the world. In 2005, Graham planted the seeds for Ocean First Divers, an environmentally conscious dive operation created to address the mounting concern for the plight of the world's oceans and to establish an industry precedent for accountability and preservation. Michael has been immersed in education and coaching for more than two decades. His love of learning has led to a BS in Geography with a concentration in Environmental Analysis, followed by a Masters of Arts in teaching degree. His work in the classroom focuses on the areas of both physical and cultural geography as well as Earth system science. Throughout his career as an educator and curriculum developer he has had the opportunity to work with students and teachers around the world and with such organizations as National Geographic, NASA, UCAR, the National Science Foundation, The GLOBE Program, Discovery Education and the University of Colorado. 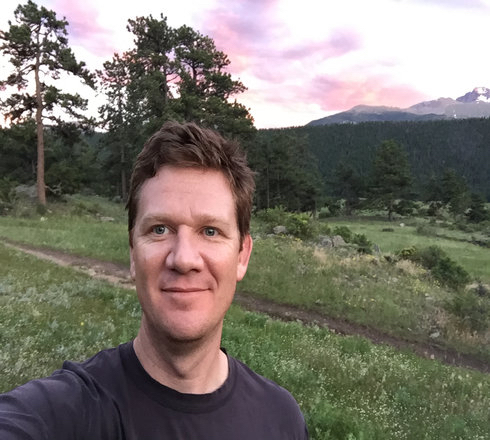 Michael spent 2 years as the STEM Coordinator for St. Vrain Valley Schools before moving to his current position of Coordinator of Science Curriculum for St. Vrain Valley Schools. He is very interested in increasing geographic and scientific knowledge as well as promoting STEM Education and the use of technology in the classroom. Michael is an avid outdoorsman and can be found regulary on the trails and frequently summits Mount Kilamanjaro. Brooke is a native of Atlanta, Georgia, but she moved to Boulder, Colorado in 2015. She is a strong advocate for conservation with a passion for communicating and engaging the community on sustainable actions and initiatives. Although much of her life has been spent in land-locked areas, she recognizes the importance for all land-dwellers to understand the holistic impacts of their actions on the air and water. 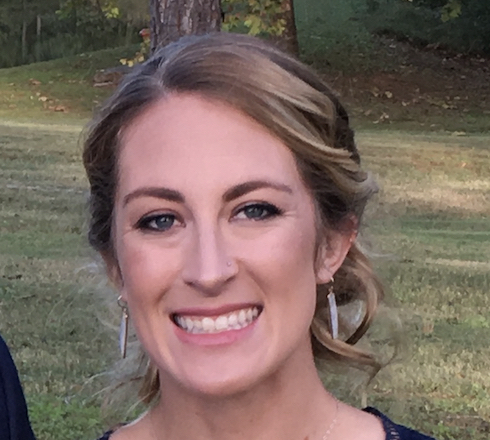 Although Brooke grew up in the city, her love of the outdoors grew from spending summers in the mountains of North Carolina and going to college in the mountains of Tennessee. Previously in Atlanta, she was a Sustainability Manager at Novelis, the world's largest roller and recycler of aluminum, where she focused on the company's internal and external sustainability communications, employee and stakeholder engagement and recycling partnerships. Brooke has previously volunteered with a number of environmental conservation nonprofits. She served on the organizing committee for The Nature Conservancy of Georgia's annual gala for four years and was a member of the Generation Green Board of the Georgia Conservancy. 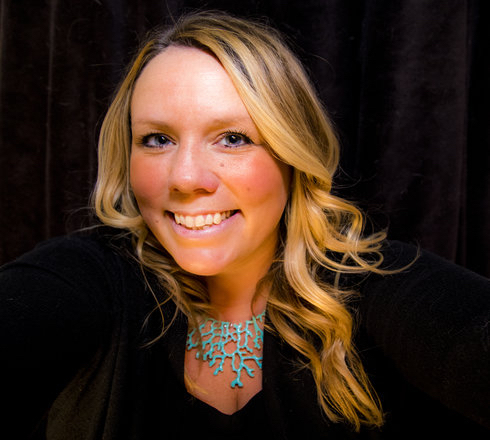 Currently, she is a Program Manager at WDHB Strategic Learning, where she plans and delivers customized global learning expeditions for executive strategy and professional development. She received her international MBA in Sustainability and Marketing from The University of South Carolina Moore School of Business, and her Bachelor of Arts in French Literature and Biology from Sewanee: The University of the South. Jonathan grew up near the beaches of Southern California and currently lives in Boulder, CO with his wife (Sarah) and children (Cooper and Willow). He has a BS degree from the University of Colorado (Boulder) and is an avid fan of the Buffs’ sports teams. 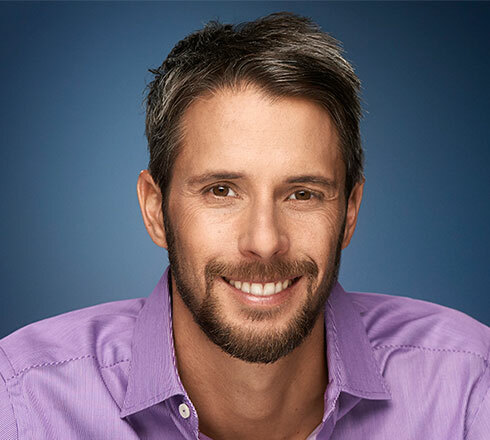 He is the former president of a wood products business and currently serves at the Vice President of Digital Strategy for the Denver digital agency, Fruition. His time with the CEO peer group, Vistage, instilled the values of mentorship and giving back. This can be seen in his participation with the Professional Mentorship Program at the Leeds School of Business, Rotary, and several other local causes. At an early age, Alex grew a fondness for elephants during dozens of visits to his hometown zoo in Milwaukee, Wisconsin. 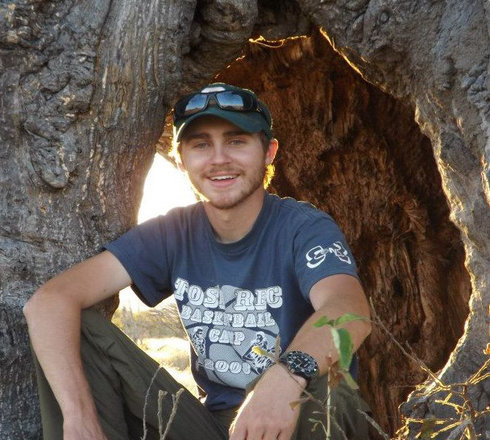 This love for elephants soon grew into a passion for all wildlife, which led him to pursue a degree in Wildlife Biology from the University of Minnesota. Prior to moving to Colorado, he spent time following his dream of researching human-elephant conflicts in Tanzania, managed a sea turtle research project in the Caribbean, and led science education programming at museums in Milwaukee and Minneapolis. He moved to Colorado in 2015 to work for a major company in the beer industry, where he learned about the operations of large for-profit organizations. One year turned into three-and-a-half, and he realized he was sorely missing the conservation world. Despite his love for teaching and traveling the world to study animals, he realized he was destined for the operations side of things for conservation-driven organizations, where he feels he can have the biggest impact. He is currently pursuing dual master's degrees in Business Administration and Environmental Studies at CU-Boulder. Joining Ocean First Institute in February 2019, he hopes to increase their networking and resource-cultivation capabilities. A dive industry veteran, Platinum Pro 5000 and Women Divers Hall of Fame honoree, Laurie Wilson is Founder of the Blue Ocean Network, a sustainable ocean news magazine, sustainable tourism learning center and community for Ocean Travelers and Changemakers. As host of the Blue Ocean Summit.com, her goal is to share insights of visionaries and leaders in the fields of marine conservation, business, causes, the arts and travel, to guide dive industry stakeholders towards a more profitable and sustainable business model. In 2014, the first Summit featured 20 industry experts from 7 countries featuring NY Times best-selling author of Blue Mind, Dr. Wallace J. Nichols and PBS host and best-selling author of Song for a Blue Ocean, Dr. Carl Safina. The Summit 2015 featured 36 experts from 13 countries, featured "Her Deepness" Dr. Sylvia Earle, Ocean Ambassador Jean-Michel Cousteau and Film-making Legend Stan Waterman. Laurie has worked in many aspects of the industry, including dive stores, resorts, live aboards, marine non-profits, marine sanctuaries, shows and events, consulting firms and dive publications. She's been a business speaker and marketing catalyst for such organizations as Sunset House Grand Cayman, Aggressor Fleet, Reef Environmental Education Foundation, The Travel Institute, ASTA, PATA, American Express, Skin Diver Magazine, Scuba Diving Magazine, DEMA Show, DEMA Asia, Price Waterhouse and NOAA's National Marine Sanctuary program (US). Laurie is married, and is a proud Mom to two scuba diving daughters. Teri has travelled extensively across the United States and around the world lending her an appreciation of the beauty that exists on this planet and creating in her a dedication for keeping the world we live in healthy. Teri enjoys combining her business acumen with her passions for educating children. 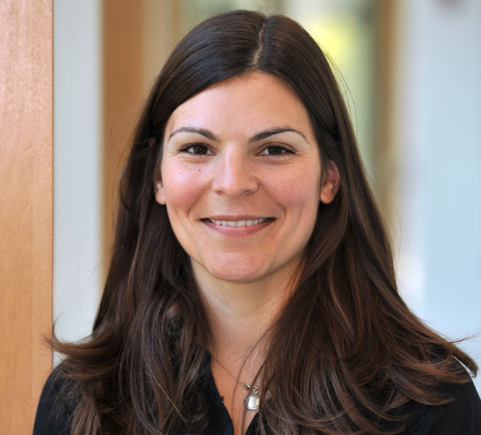 She started her career as a Science Teacher before moving into immunological research and as also led business areas in the medical device space. 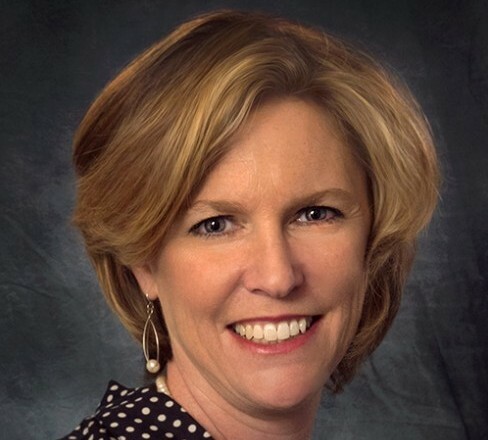 Teri received her Bachelors of Arts in Liberal Studies with a Multicultural Teaching Certification from California State University, Sacramento and an Executive MBA from Colorado State University. Teri is married with 2 boys and you can often find her riding horses or triking around Longmont with her family. Though she grew up in landlocked Hamilton, Ontario, family trips to coastal Florida quickly developed Laura’s love for the ocean and its inhabitants. After completing her B.Sc. from McMaster University and a shark and ray internship at The Florida Aquarium, Laura completed her PhD in stingray locomotion from Florida Atlantic University. Laura’s research experience includes elasmobranch (shark, skate, and ray) behaviour, physiology, and biomechanics. She has extensive experience in elasmobranch husbandry. Current work includes investigations into the mineralization of the elasmobranch skeleton, patterns of locomotion in benthic rays, and the biomechanics of body stabilization. 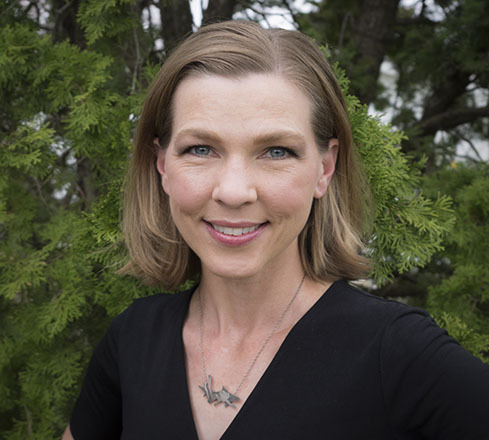 Dr. Ekstrom completed a Postdoctoral Fellowship at Mount Holyoke College and is currently an assistant professor at Wheaton College in Norton, Massachusetts. 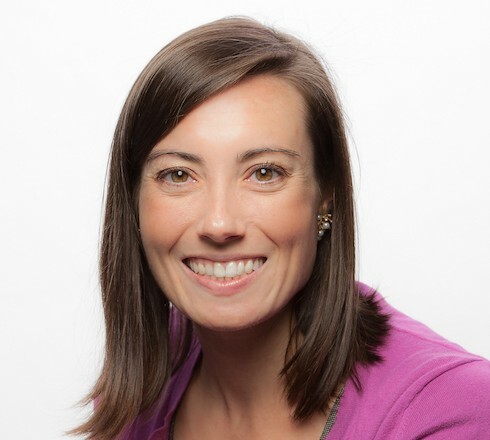 She is an active supporter of women in STEM and is a co-founder of Wheaton’s Summit for Women in STEM, a one-day conference to highlight, mentor, and connect women in STEM across New England. Todd is originally a Midwest native, but has lived in Boulder since 1997. He has research experience in many aspects of climate science, impacts, policy, and science communication. 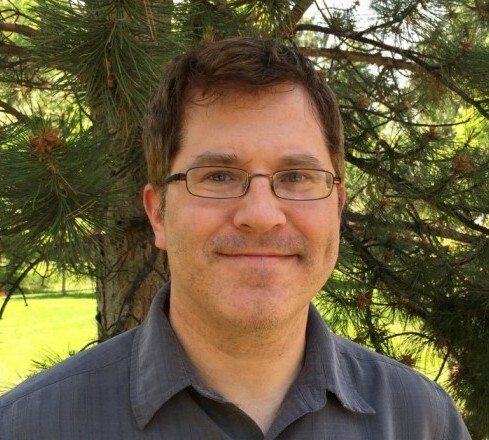 His current work focuses on climate impacts in the western U.S. and Alaska, including drought trends and impacts, changing wildfire behavior and impacts to ecosystems. He is also involved in analyzing the impacts and feasibility of low-carbon emission scenarios and climate impacts to coral reefs and other shallow water marine ecosystems. Future work will involve how to build resilience in these ecosystems in the face of global change and how local communities will adapt to these impacts. His previous scientific work has included researching the public health impacts of climate change with a focus on air quality and extreme heat, connections between climate and extreme weather, forest ecology and climate, field measurements of atmospheric aerosols and global climate modeling. He also has many years of volunteer experience in ecological restoration and public lands policy and sits on the Board of a local ecological restoration non-profit, Wildlands Restoration Volunteers. 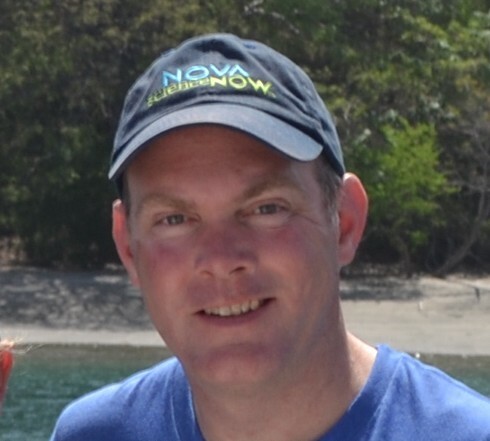 Todd holds a Ph.D. in Physical Chemistry from the University of Colorado and a B.S. in Chemistry from Purdue University. He currently is a climate scientist with the non-profit organization Climate Central and Senior Research Associate with Aspen Global Change Institute. Growing up in land-locked Colorado, Lindsey's childhood involved more snowmen than sandcastles. That all changed when she became SCUBA certified at 15, albeit in a freezing lake with visibility of ~15cm. After her first tropical dives, she was hooked, and has been traveling and diving as much as she could ever since, including working as a SCUBA instructor in Zanzibar and conducting PhD research in Indonesia and Australia. This also led to a love of underwater photography and surfing, although when back in Colorado she's just as happy skiing, snowboarding, or camping. With dreams of opening a dive shop, she studied business and received a BA in Business Administration and International Business, as well as an MBA. The more time she spent diving, the more she was fascinated with the behavior of the animals she spent so much time with underwater, so she returned to the University of Colorado to get a second undergraduate degree - a BS in Evolutionary and Ecological Biology - in order to pursue a PhD. The most memorable part of her PhD was community outreach; she believes, unequivocally, that the aggregate potential of science is only realized when communicated to as broad an audience as possible, especially beyond the confines of academia. As a scientist, she's fascinated by nature’s anomalies. The oddities of the natural world are often the most captivating, and the driving forces through which they evolved are often the most interesting. These complex adaptations require multiple mechanisms to function, are phylogenetically unique, and provide a fitness value. They are a platform through which we can elucidate the powerful mechanisms that propel species, ecological, and genetic biodiversity. Her PhD studies at UC Berkeley involved the ultrastructre and mechanisms of the flashing in a tropical marine bivalve, aptly name the ‘disco’ clam, as well as the behavioral fitness value for the display. She also studied the optics of the clam and conducted ecological surveys. In her postdoctoral research with Dr. Jingchun Li, she plans to incorporate evolutionary-developmental analysis of the unique flashing display, while expanding her research into a phylogenetic analysis of the diverse defense mechanisms within the file clam family Limidae. She will continue her work on the use and function of structural coloration within bivalves, and is excited to attain a broader view of this unique group of organisms. Tanya Houppermans began her diving career in 2008 and quickly fell in love with the underwater world. She became a passionate shark conservationist after learning that more than 70 million sharks are killed by humans annually worldwide. To help with this effort, she decided to start photographing sharks to show the public that these misunderstood animals are not the vicious monsters so often portrayed by the media, and that they are actually beautiful, graceful, intelligent creatures that desperately need our help. Tanya’s images quickly became recognized around the world and were honored with awards in numerous international photography competitions. In 2015 Tanya left her career as a mathematician and military defense analyst to pursue underwater photography and marine conservation full time. Her images and articles have since appeared in print and online publications worldwide. In 2016, she was inducted into the prestigious Ocean Artists Society for using her images to further global marine conservation efforts. Tanya also conducts field work for scientists and researchers by acquiring the images they need to further their studies. She enjoys leading expeditions for other divers and underwater photographers as well, particularly those involving her beloved sharks. Tanya is heavily involved in promoting adaptive scuba diving for those with disabilities, as she is the mother of a young-adult son with autism who is a certified scuba diver. Whenever possible, Tanya, her husband, and son travel to dive destinations around the world to experience the underwater world together as a family. Mehgan is a life-long ocean adventurer, accomplished athlete, stunt diver, television personality, biologist and marine conservationist. 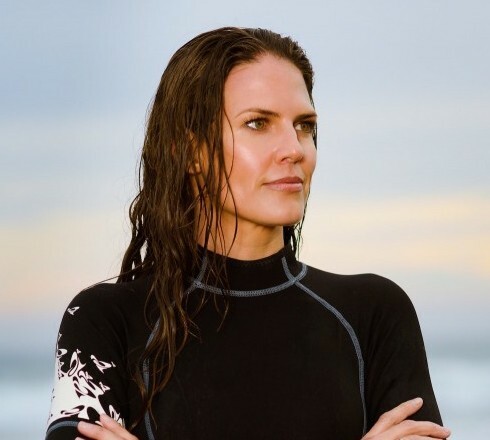 Mehgan helped to pioneer the sport of freediving in the U.S., when in 1996 she established the first U.S. freedive record for both men and women with a dive to 155 feet on a single breath of air. Less than one year later, she bettered that record by diving to 165 feet. 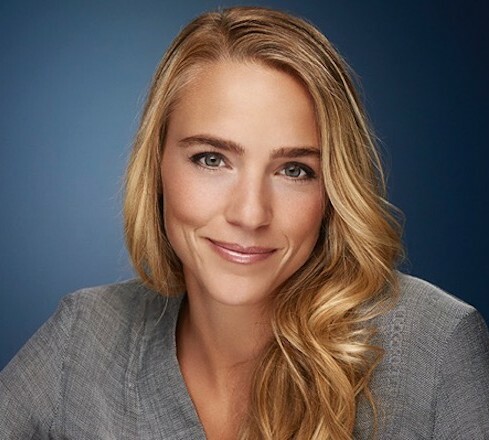 Mehgan was one of the original inductees into the Women Diver's Hall of Fame, and holds a degree in Ecology and Evolutionary Biology, and Anthropology from the University of Colorado at Boulder. As a young girl growing up in the Florida Keys, Mehgan's love of freediving and the ocean environment ignited a strong passion for science, conservation, and exploration. Today, these passions continue to fuel and give substance to her pursuit of water and land based adventures. Mehgan is dedicated to doing what she can to be "part of the solutionâ€ when it comes to raising awareness about issues that are important to her, such as the critical health and future of the world's oceans. Currently, Mehgan stars in the expedition based television series, Treasure Quest, on the Discovery Channel, working as a dive expert and Anthropologist on an elite team of explorers searching for lost Incan gold in the waters of South America. 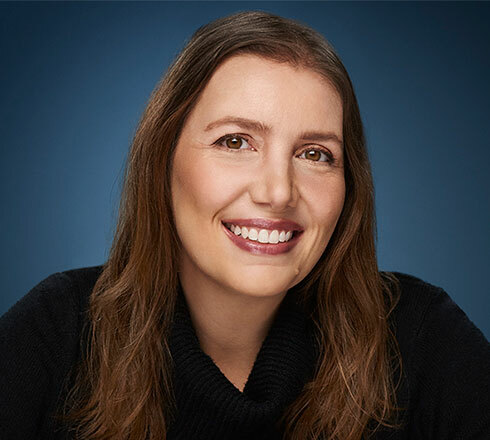 Raised by scuba diving parents who taught her to value and respect the ocean, Darcy donned her first scuba tank at age 9 and blew bubbles in the backyard swimming pool. She told everyone afterward that she was going to break out of Oklahoma and become a marine biologist. Darcy earned a BS in Marine Biology from the University of North Carolina Wilmington and an MS in Environmental Science from the University of Oklahoma. Her research experience includes studying coral recruitment and larval development in Key Largo and Puerto Rico, tagging and rehabilitating sea turtles in the Carolinas, and rehabilitating marine mammals and birds in Alaska. She realized the incredible opportunity she had to influence others when she became a biology lecturer at the University of North Florida. 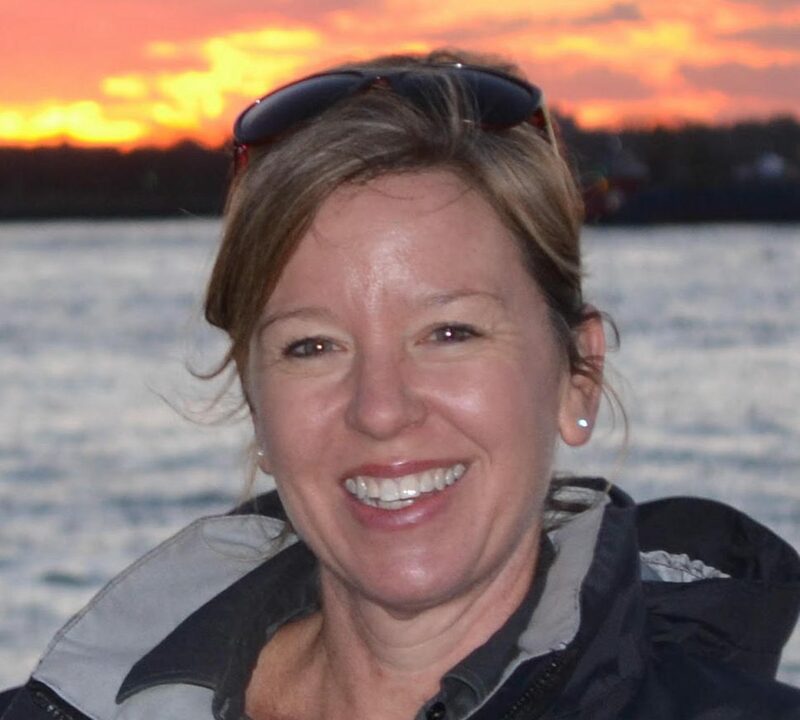 She squeezed in marine science lessons every chance she got, and she became passionate about getting her students as excited as she was about the ocean. 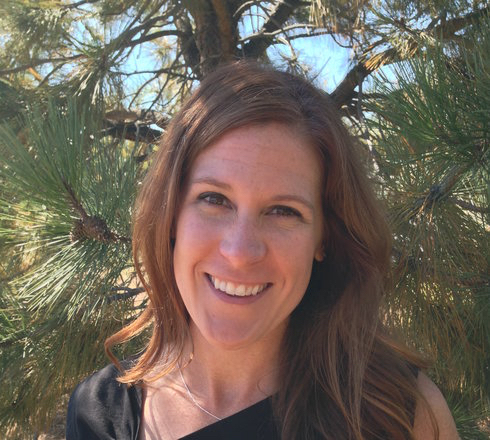 Currently, Darcy is an environmental scientist at a Boulder-based firm with a focus on large-scale environmental monitoring and remediation. She is thrilled to work alongside the visionaries of Ocean First Institute and share her passion for the underwater world. Erica was born and raised scuba diving the reef tracks of South Florida. Having fallen in love with the ocean at a young age, this motivated her to dedicate her life towards ocean awareness and education. She has worked with several organizations and companies such as Fishing For Families in Need, The Georgia Aquarium, The State and Territorial Solid Waste Management Officials, LoveTheWild, and even traveling down to Nicaragua to work with a local fishing village to promote a more sustainable marine environment. 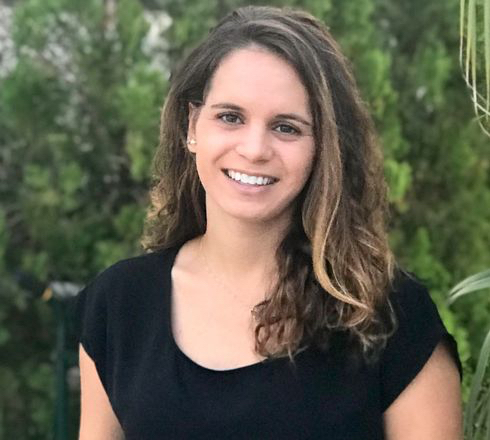 During her college years at The University of Rhode Island, she not only invested time in academics, but also made it a point to reserve time to contribute to the field studies of cartilaginous fishes, such as sharks and rays with Florida Atlantic University. In 2016, she graduated from The University of Rhode Island with a double degree in Marine Affairs and Communications. She then went on to obtain her Masters of Professional Science, focus in Marine Conservation, from The University of Miami, Rosenstiel School of Marine and Atmospheric Science (RSMAS). Today, Erica has shifted her field of study towards Fisheries Management and Sustainable Seafood. She is honored to be working with the Ocean First Institute in educating and promoting better marine stewardship.